The tenth ArmMono One Man Show International Festival held in Yerevan has gathered many renowned representatives of Armenia’s theater elite and guests from abroad, who say the festival is a cultural feast for them. Actors and actresses arrived from Lithuania, Poland, the United Kingdom, Russia, Georgia, and Nagorno-Karabakh, as well as from Armenia to perform at the six-day festival (from February 29 to March 5). 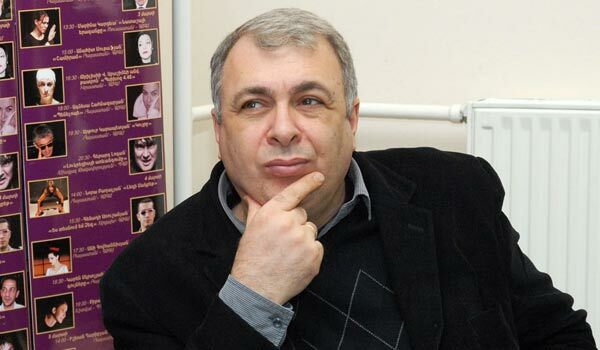 Founder of the festival Hakob Ghazanchyan says that ArmMono has become an integral part of Armenia’s cultural life, and it promoted the improvement of the type of one man show in Armenia. Speaking about Armenian one man shows, Ghazanchyan says that they are of high quality and re performed on international stages. “Our one man shows almost in all festivals win Grand Prix either in Best Actress or Best Actor categories. Sergey Danielyan, Hovhannes Babakhanyan, Armen Santrosyan are the actors who have achieved great success in a number of international festivals,” Ghazanchyan says. This year the axis of the festival is the Lithuanian program which is dedicated to the 20th anniversary of the establishment of Armenian-Lithuanian relations. According to Deputy Culture Minister of Lithuania Devidas Stanponkus, ArmMono Festival creates new perspectives for the development of the two countries, and gives an opportunity to get acquainted with the cultures of both countries. This year the International Papazyan Shakespeare Festival, which passes to the one man show format, too, is included in ArmMono Festival. “This is very interesting especially for Shakespeare's drama. Shakespeare has written no plays for one man shows, therefore studying his works and trying to focus on one character and create the whole show on that character’s image is a very interesting work process,” Ghazanchyan says.